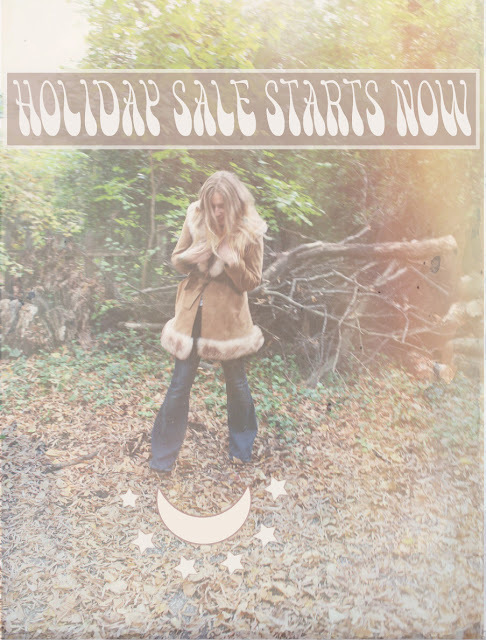 For Love of the Moon: TAKE IT OFF | HOLIDAY SALE STARTS NOW! 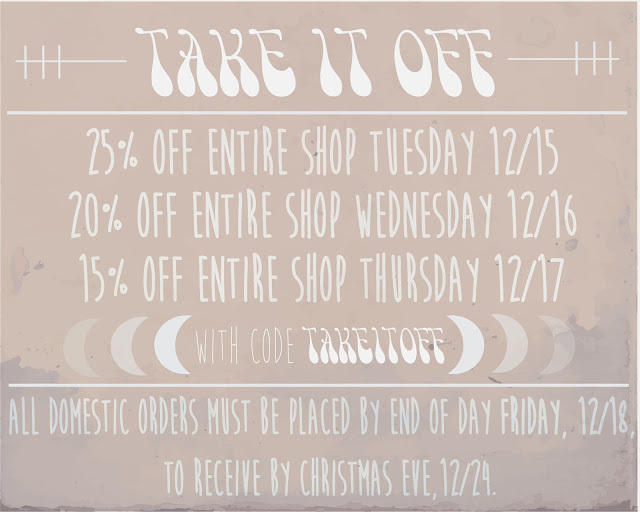 TAKE IT OFF | HOLIDAY SALE STARTS NOW! Even sweeter when there's an upside hourglass to save dollar bills. In an effort to finally get into the spirit of holiday cheer (GIVING GIFTS IS CHEERY), we're giving you a good bit off your holiday orders today through Thursday. 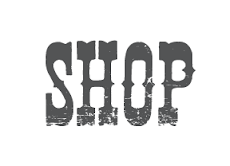 But the sooner you shop the more money you'll have in your wallet to buy that extra fancy New Year's Eve champagne. And a special cheers to those not doing material gifts at all. Just ignore all of this.